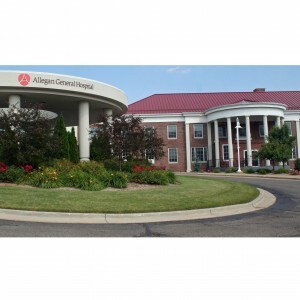 Allegan General Hospital’s Pain Management Center will offer balanced pain treatment services to the Allegan community as a result of a partnership between Allegan General Hospital and Pain Management Group (PMG). The center’s treatment model incorporates the use of several modalities including interventional procedures, medication management and physical therapy. Common diagnoses include neck and back pain, headaches, fibromyalgia, chronic pelvic pain, Complex Regional Pain Syndrome (CRPS), nerve damage, as well as pain associated with arthritis, muscle spasms and shingles. Patients are diagnosed and treated by Salah Eldohiri, MD, a board certified and fellowship trained pain management physician. Dr. Eldohiri was fellowship trained in pain medicine at State Universty of New York (SUNY) and is board certified in anesthesiology. He will perform interventional procedures locally at the hospital and may refer patients for alternative treatment in the community. Dr. Eldohiri and Allegan General Hosptial’s Pain Managment Center will remain in contact with the patient’s primary care physician over the course of their treatment program. The center is located across the street from Allegan General Hospital at 570 Linn Street, Suite 2 Allegan, Mich. For more information, contact Allegan General Hospital’s Pain Management Center at 269-686-4300.